Posted under Health Guides. Updated 25 September 2018. IBS can cause abdominal pain in the setting of having stool changes such as constipation or diarrhea. There are lots of treatments that can improve symptoms. Irritable Bowel Syndrome (IBS) is the most common gastrointestinal (digestive) disorder in the U.S. According to research studies, approximately 8% of middle school students and 17% of high school students have symptoms of IBS, which is similar to the amount of adults who are affected. IBS is defined by a cluster of symptoms of abdominal pain occurring with a change in stooling pattern. IBS is a condition that involves increased sensitivity of the gut and affects how the muscles in the intestines tighten. It is believed that the contractions may be too fast (causing diarrhea), slow (causing constipation), or go back and forth between both. That’s why it is called “irritable” bowel syndrome. Doctors don’t know the exact cause of IBS. Most people believe that a combination of problems may be responsible for the symptoms. 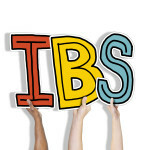 IBS is diagnosed by a health care provider based on a person’s symptoms, their medical history, physical exam, blood work, and sometimes with the help of other diagnostic tests. These tests and other minor procedures may be done to make sure the symptoms are not caused by another medical problem. To be diagnosed with IBS, a person will typically have had a change in bowel movements and stomach pain/discomfort related to constipation and/or diarrhea for at least one day per week over the past 3 months with symptoms starting at least 6 months ago. Blood test(s)- to check for infection and inflammation or other cause of symptoms such as celiac disease. Endoscopy- Although not done very often, a person may have this procedure if their health care provider is concerned there may be inflammation on the inside of the digestive tract. Often, not all of these tests are needed, and IBS can be diagnosed based on a patient’s symptoms and physical exam. How can I find out if the foods I am eating are causing me to have IBS symptoms or making my IBS symptoms worse? If you think that your IBS symptoms are related to different foods you are eating, the best way to find out more is to work with a Registered Dietitian. He/she can talk to you about certain dietary changes that have been studied that improve symptoms of IBS. You can get a better idea of how certain foods you are eating are affecting your symptoms by writing down what you eat and the symptoms that you have in a “food diary” (see sample below). You can also try logging your symptoms related to different foods on an App. With a dietitian, you can work on making changes to your eating after observing how your body responds to different foods. If there’s a food that you think causes IBS symptoms most of the time, try to stop eating it for at least 2 weeks, and then try to slowing re-introduce small amounts again to see if you notice a change in your symptoms. When logging your symptoms with food, be sure to include the amount of food eaten. This is because certain foods may only trigger symptoms for you if they are eaten in large amounts. Download a blank food diary sheet here. Make a copy for each day, and track what you ate and whether or not you had any symptoms. What has been helpful to others with IBS? People may react to foods differently but many individuals diagnosed with IBS find that certain foods tend to cause digestive distress or make symptoms worse. By working with a Registered Dietitian, you can try eliminating (not eating) certain foods to see how your body responds and then gradually re-introduce foods that your body can tolerate For example, your dietitian may work with you to see how you respond to certain types of carbohydrates, called FODMAPs. Avoid large meals. Instead, try eating smaller and more frequent meals and snacks. Limit dairy foods and foods that contain lactose (if you notice worsening symptoms when you eat them.) If your health care provider thinks you have an intolerance to milk, think about choosing lactose-free dairy products instead such as Lactaid® milk, and Green Valley® yogurt. Limit Artificial sweeteners such as sorbitol, mannitol, xylitol, and isomalt which are mainly found in sugarless gum and candy. Try using sweeteners such as stevia or sugar. Limit high fructose corn syrup, agave, and honey (check the ingredients label). Instead, use maple syrup, brown sugar, or granulated white sugar when baking. Is IBS the same as inflammatory bowel disease (IBD)? No. IBD is an ongoing disease that is caused by the immune system fighting the digestive tract. It includes two different diseases, ulcerative colitis and Crohn’s disease. IBS is different than IBD. With IBS the intestine is not inflamed and it almost never causes bloody diarrhea or blood in the stool. What other ways can IBS affect me? Irregular bowel habits can be frustrating and lead to emotional stress. Luckily there are healthy ways to lower your stress level, such as taking a proactive role in your treatment plan–keeping track of what you eat so you can figure out what foods seem to trigger symptoms, doing activities that you enjoy and that help you to de-stress, and talking with a friend, parent, and/or counselor about your feelings. Although IBS symptoms can be uncomfortable and stressful, most teens do not develop chronic health problems. With the help of your health care provider and a registered dietitian, you can learn ways to make changes to your diet that can improve, or even get rid of, some or all of your symptoms.